Court Reporting, Transcription, Legal Videography, and Interpreting for Seattle, Tacoma, Olympia, and Bellevue Washington. Headquartered in Tacoma, Washington, Vernon & Associates Court Reporters, LLC began in 1980 by the husband and wife team of Earl and Catherine Vernon. Over the years, the firm has expanded to include a skilled network of court reporting, transcription, videoconferencing, videography, and interpreting professionals that for nearly four decades has been providing the highest quality services and litigation support. A multi-generational firm, we ensure court reporting excellence for generations to come. Vernon & Associates’ family-owned pride ensures personalized service; and a network of specialized professionals provide services for all aspects of court reporting, transcription, and litigation support. 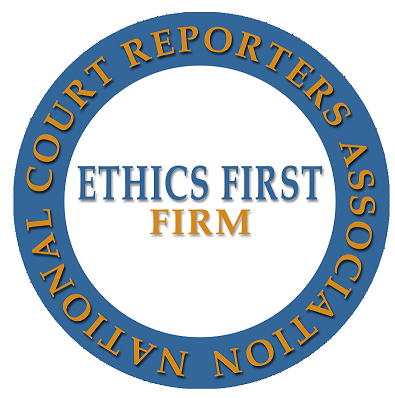 Vernon & Associates is a member of the National Court Reporters Association and the Washington Court Reporters Association.